I use the MX5 as the main browser on my home computer and on my work computer. 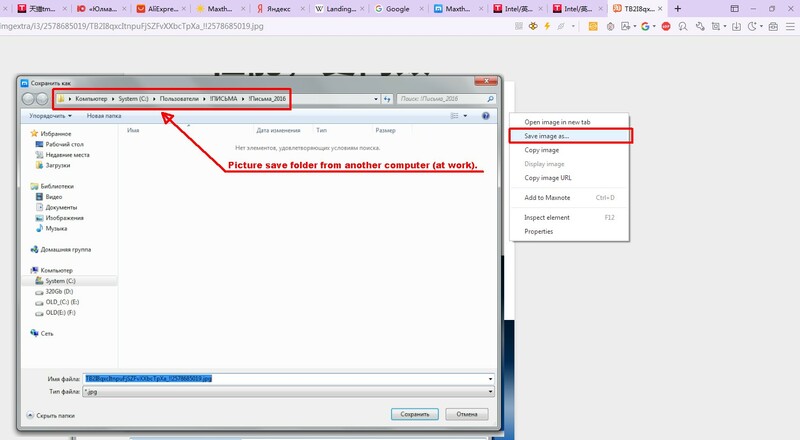 I noticed an interesting feature: if in the browser when saving a picture(Save image as...), specify any folder on the working computer, then when saving the picture on the home computer it is suggested to save the picture in the folder with the same name and located on the same path on the hard disk! And initially on my home computer this folder was not, but it is automatically created completely copying the location as on my working computer! What could it be? Must be one of the things that gets synced via passport. Most likely so it also is. But these data should not be synchronized in any way between two different computers. This is simply unacceptable! By the way, on the working computer now there was a folder in which I saved pictures on the home computer.